Hoover Building Specialists is your building design / build contractor. Hoover Building Specialists provides building services in Lebanon, Lancaster, Chester & Surrounding Counties in PA. You can trust all the details of your building design to us, the professional building contractors of Southeastern Pennsylvania. Through each phase of construction from the initial design to completion, we are committed to providing outstanding service and quality workmanship. We specialize in construction management in such a way that our clients have confidence in us that no matter what stage the building project is occurring, we have it under control. After design, our construction management company implements a series of procedures to ensure our building services are productive, reliable, and done correctly the first time around. A new construction project requires an immense amount of planning for the project managers, serious attention to detail for the builders, and proper communication with the client. At Hoover Building Specialists, we understand that commercial building is much more than professional building services. We work with companies to make sure we are fulfilling the look that they have in mind using a design that matches the brand of their company. Each commercial building should be unique to a company and their services, providing enough space and special features customized for what they do. For companies that wish to upgrade their current building, we also perform building renovations, small or large. 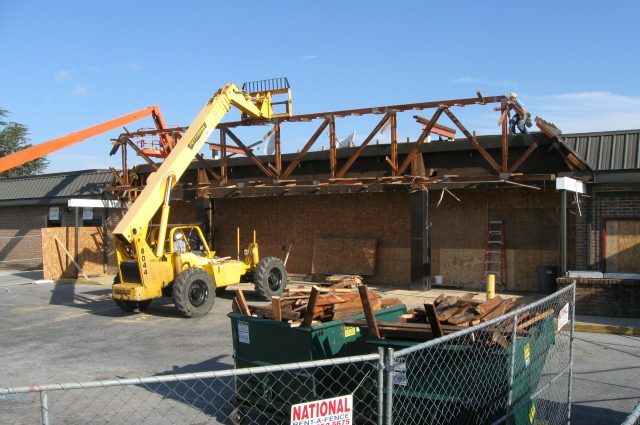 For big projects like restaurants, churches, car dealerships and more, you need a commercial contractor with a ton of experience. View our project gallery to see hundreds of projects for commercial buildings built for clients who used our building services. Our commercial contractors can do anything from concrete foundations, installation, painting, all the way to landscaping for your company. For building services from a professional construction company, contact us today to talk to a Hoover Building Specialist. We also suggest new clients request a free information packet on our construction company’s management and building services. We are located in Honey Brook, PA and are always readily available to take on new construction projects. We look forward to hearing from you!